Bamboo fiber is soft and comfortable to wear made from a annually renewable resource - isn't hazardous to the environment. Bamboo fiber is beautiful to look at and has excellent wearability. Bamboo fiber is manufactured using new, cutting edge bioengineering technologies. It is produced by softening the bamboo fibers into a "batter". Then the fiber is produced by wet-spinning and stabilized by acetylating, and is then cut into short staples after curling and thermoforming. 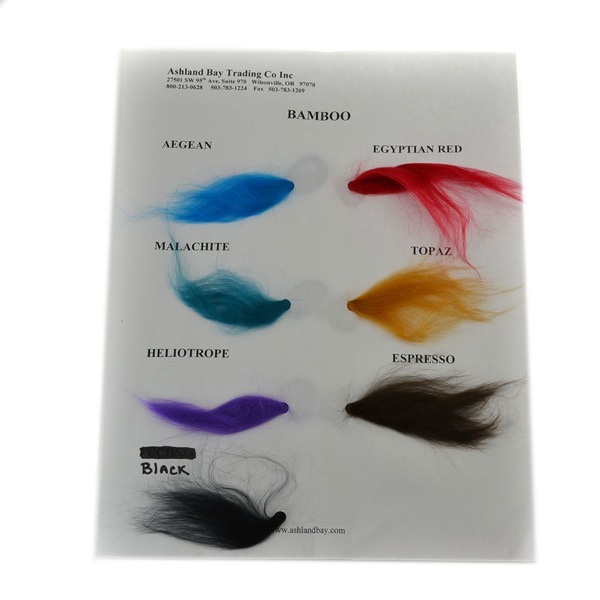 Color Card includes fiber samples. Purchase Here.